Back to making Christmas cards for this DT piece and I have made 4 of these. Welcome to the PanPastel UK make an embellishment challenge, we hope you will join us this time around and be in with a chance to win your own set of pans from our regular sponsor Your Creativity Store. 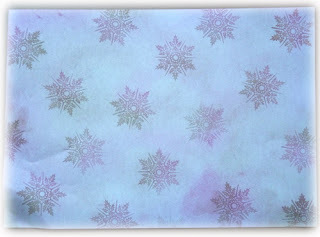 My focal image is from the Christmas Chic collage sheet available at Gecko Galz. If you haven't visited their shop or blog I do recommend you take a look, especially if you love vintage images you can print out yourself. 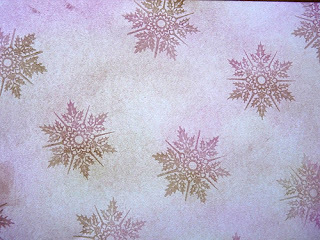 The background for this card was made with PanPastels and the freebie snowflake stamp from the Craft Stamper magazine this month. Two A4 sheets were enough to make my four cards. The snowflake is my hand made embellishment, die cut from offcuts of the backing paper with a movers and shapers die, heat embossed with sparkly ep and a shrink plastic snowflake for the additional layer. All sparkly bits are diamond Stickles. A memory box frosty border die-cut, music paper and a computer generated sentiment complete the card. Another update about my GD, when I visited Friday she was in the hospital classroom, helping a younger boy make a model pirate ship. She was bright and chirpy and is now eating solid foods, a very bland diet though and just small amounts. I took lots of cards with me that had arrived over the past week and she was delighted with them and loved looking at the different styles, patterns and colours. I have to say a huge thank you to Sue (Scrumplescrunch), Lynn (Trash to Treasure art), Silvia (BarniesBaustelle), Yvonne (Journey into Artistry), Joyce (Gram's Treasures), Karin (Creativity), Marjie (She who stamps and scraps), Rebekah (Berrylicious), and Trace (Inkypinkycraft). Thank you all for brightening her day and her room. beautiful christmascard! And im glad to hear that it is going better with your granddaughter! Glad to hear GD is improving and so pleased she liked the cards. Your card is just beautiful, the image is gorgeous and the way you have designed the elements around her are perfect. Such a beautifully put together card Brenda! Your main image really stands out beautifully. Great to hear your GD is picking up a little too. Wow, that's an amazing Christmas card. Looks really beautiful. 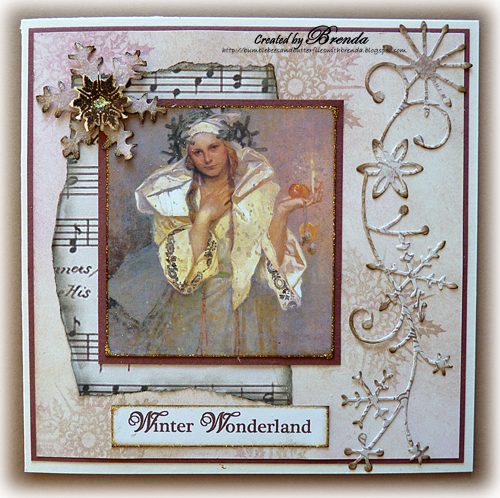 Gorgeous vintage style card, Brenda. So glad your GD is doing better...the cards must have worked (lol) Have a great weekend. This is a beautiful Christmas card, dear Brenda...every detail is perfect! So lovely! Hi Brenda.. this is just gorgeous ... love it. Beautiful card Brenda. 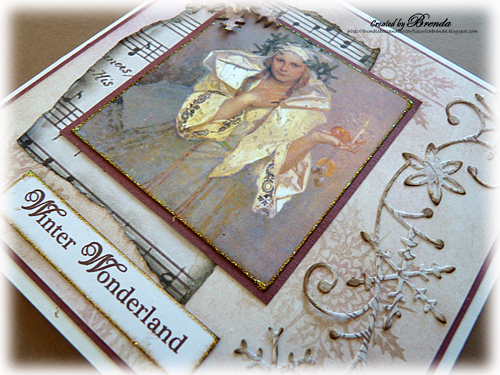 Love your own embellishments adding to the whole look of this lovely card. Soooo beautiful and so wonderful Brenda. So stylish. Wow, wow, wow Brenda this is awesome, that image is stunning the design and colours are superb, the vintage style is always a winner with me, this is a top notch creation, I love it. Fabulous card - I love the background, as well as that fab image (discovered the Gecko Galz only recently via their bloghop - amazing!) and the Memory Box die looks wonderful - as does your deliciously edged snowflake. So glad to hear that Becca's improving, and that she's enjoying her card gallery! Just gorgeous and so elegant!!! I love the gold! The snowflake is beautiful as well! Good news with your granddaughter. I hope my card arrives soon as well! Make an embellishment? Or make a statement! 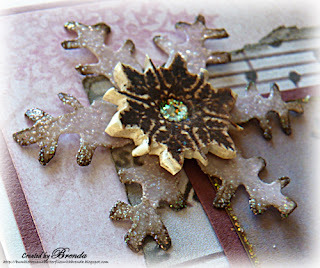 Because this card is just gorgeous, Brenda. 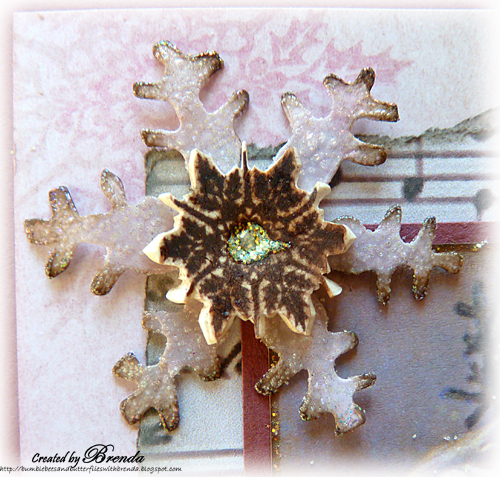 I love your snowflake embellie and that delicate border die. But more than anything, I love the mental image of your granddaughter up and about in the classroom helping a younger fellow. Wonderful news about Becca... I hope each days gets better. This is just so beautiful Brenda and a great xmas card. Good news on your granddaughter and her progress. I'm so glad the cards cheer her up. That looks really charming. The great details are worked beautifully. Pure perfection, Brenda.From the delicate colors, the fabulous image to the stunning embellishment! Such a beautiful chtistmas card with special festive Christmas spirit. love all elements and your embellishment is awesome! GORGEOUS!!!!!!! A real jaw dropper.